The Vision: In 2013 on direct Guidance from Spirit, Lia commissioned the creation of this powerful 10-sided, 10-triangled Lapis Lazuli Decagon, which she was told would greatly assist people in receiving, and utilising the high frequency ‘Sounds of Source Transmissions’ she is the conduit for. A set of 5 larger Master Source Stones were also created. These travel with Lia to every SOS ~Sounds of Source event for the purpose of establishing a crystalline grid within the ceremonial space, and to help ground and anchor the transformative frequencies within those present. 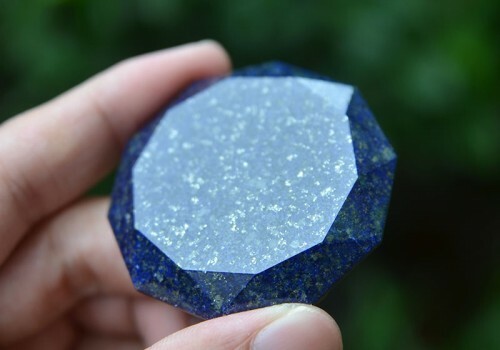 The Crystal: The Source Stone has been custom carved from premium grade Lapis Lazuli from Afghanistan, the country considered to have the best quality Lapis in the world. 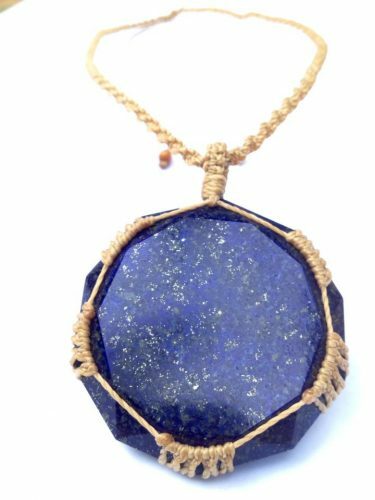 Lapis Lazuli is a crystal best known for activating the higher mind and psychic abilities through the third eye, allowing one to develop enhanced intuition and to access spiritual guidance. In Ancient Egypt, Lapis was unsurpassed as a stone of Royalty and spirituality. It was used to adorn the Pharaohs during their life, as well as to decorate their tombs for the journey to the next life. Lapis still carries the vibration of the inner ‘king’ or ‘queen’ that lies buried deep within each of us. It is the stone of Royalty in its truest nature. 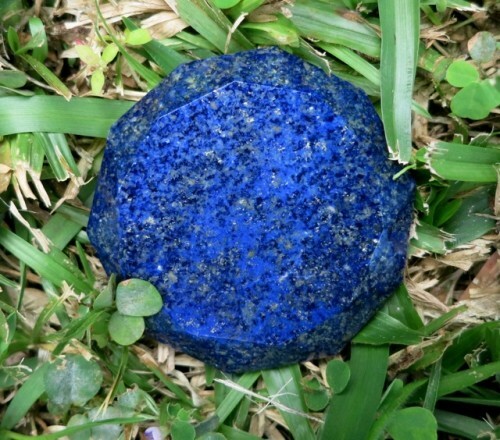 Imprinted as it is, with the unique signature energy of the divine ‘Sounds of Source’ frequencies transmitted through Lia, the Source Stone also carries the energy of the Sacred Indigo Ray, which it has been said, will trigger the next step in our evolution as a human species. Indigo-coloured Lapis also contains within it flecks of golden pyrite, which reflect the golden energy of the Solar Rays. Pyrite assists one in acting upon one’s highest ideals and one’s visions. Lapis Lazuli therefore, is the perfect crystal to embody the essence of the ‘Sounds of Source Transmissions’. Sacred Numerology: From the first seeding of the ‘Sounds of Source’ project, it was made clear to Lia that the numerological symbology of the No 10 was of central importance. This symbology was confirmed again when Lia discovered that the initials SOS~SS (Sounds of Source~Source Stone) also have a numerological value of 10! The Source Stone’s 10-sided geometric form embodies the vibration of the No 10, a number described by the Ancient Mystery Schools as the number of Perfection. No.10 symbolises a return to wholeness. Containing the 1 of New Beginnings, along with the Zero point, 10 encompasses the beginning and the end, as well as endless and open possibilities. No 1 by itself signifies leadership, individuality and originality. Zero by itself signifies the unlimited, the eternal, the universal…the Source. When placed together, Zero increases and magnifies the potential of No.1 by times 10, adding dimension and vibrancy. Added together, 1+0, reduce back to 1 again, reinforcing the message of New Beginnings and the perfection of the One-in-All. 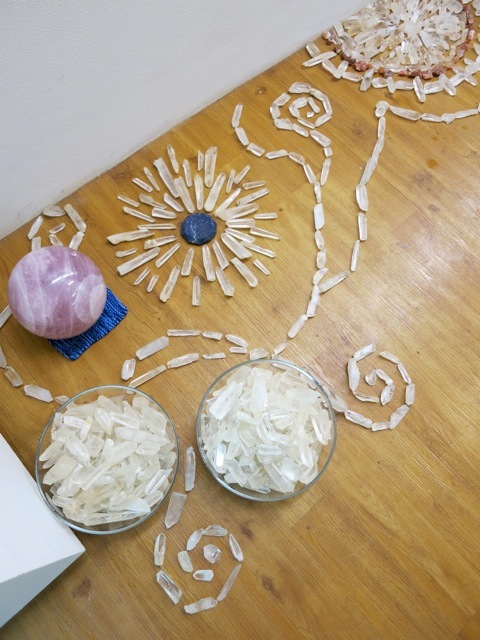 Carved with Pure Intention: On Lia’s request, the crystal carver who carved the Source Stones, played her Sounds of Sirius music throughout the entire carving process. This carver had previously carved some crystal skulls for her, and after sending him a gift of her award-winning album ‘Crystal Keys – Songs to Awaken and Heal’, she learnt that he now plays the album constantly while he and his team work. 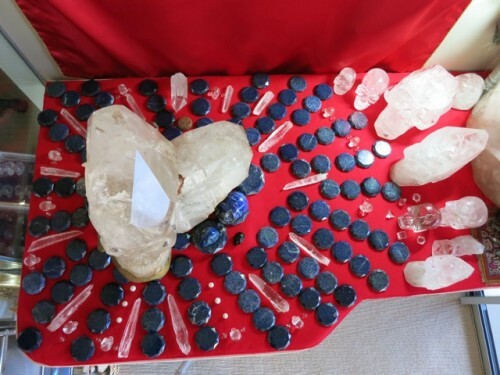 Lia explained to the carver that these stones would be used in sacred ceremony, that they would be the carriers of very high frequency energy, and that those who became their caretakers would use them as tools of deep Spiritual intent. From their very inception therefore, these stones have been imbued with the signature sound frequencies of the ‘Sounds of Source’. 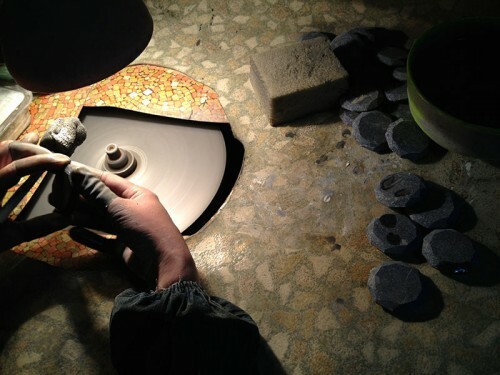 Each Source Stone has been personally charged by Lia in sacred ceremony. As soon as they arrived in Australia Lia put the Stones out on the Earth under the sun to cleanse them, and also to imbue them with the energy of the Australian Earth. In tropical Cairns where she lives, the energy of the mountains, the ocean, the Great Barrier Reef, the tropical rainforest and the abundant plant and animal life within it, all contribute to what is arguably one of the most sublime and beautiful expressions of Mother Earth’s beauty in the world. Following their time on the Earth, Lia brought all the Stones inside and placed them in a grid around ‘The Master Skull Solar’, flanked by several of her other very important Crystal Skulls. Here they bathed in Solar’s energy, receiving his frequency and information, and his energetic signature. Just after sunrise the following morning, Lia performed a ceremony during which the Stones were imprinted with the ‘Sounds of Source’ Sound/Light Codes, in a Transmission that came through specifically for that purpose. 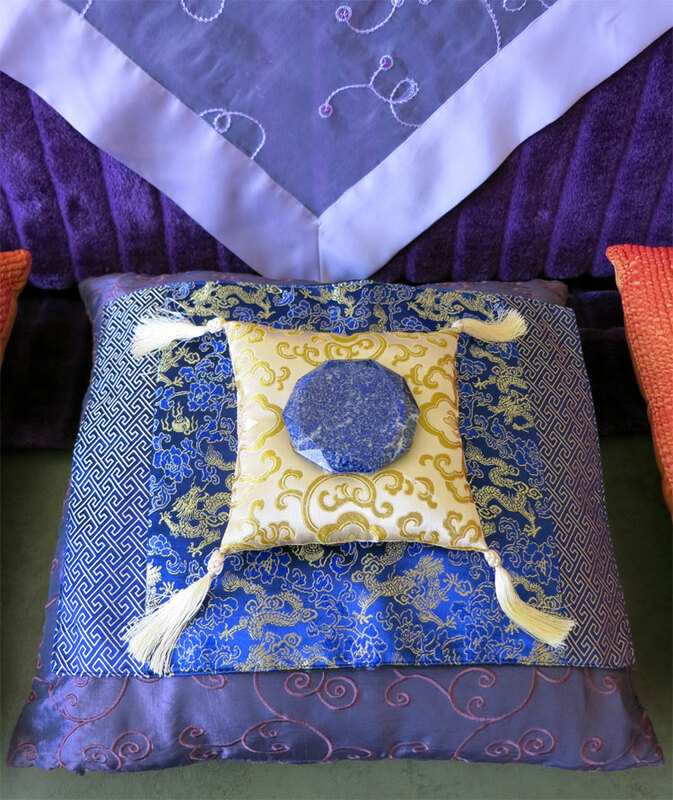 Having now used the Source Stones in the way envisioned for almost 5 years during her ‘Sounds of Source’ events, Lia has found them to be incredibly powerful. There is no doubt in her mind that they do indeed anchor and amplify the high frequency ‘Sounds of Source Transmissions’. During each of the events, Lia’s personal Master Stone that has been used to direct the energy out towards the group in very specific ways. 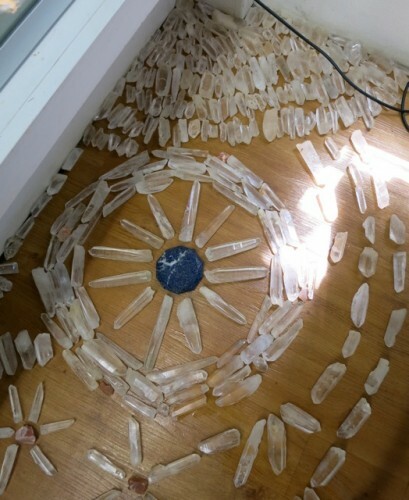 The following photos of the exquisite Lemurian Seed Crystal mandalas created for some of the ‘Sounds of Source’ events will give you some idea of how the other 4 Master Source Stones are being used. 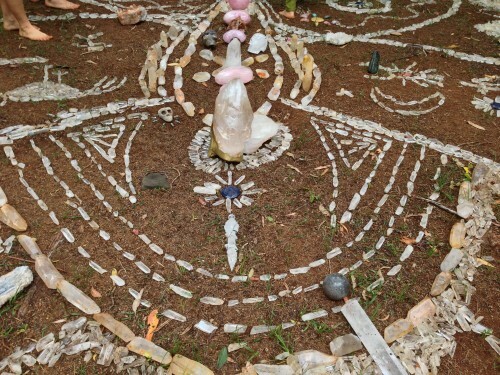 How to Use: The Source Stone is designed to anchor within the Being, the otherworldly frequencies flooding through the direct Gateway to Source, newly opened by the ‘Sounds of Source Transmissions’. 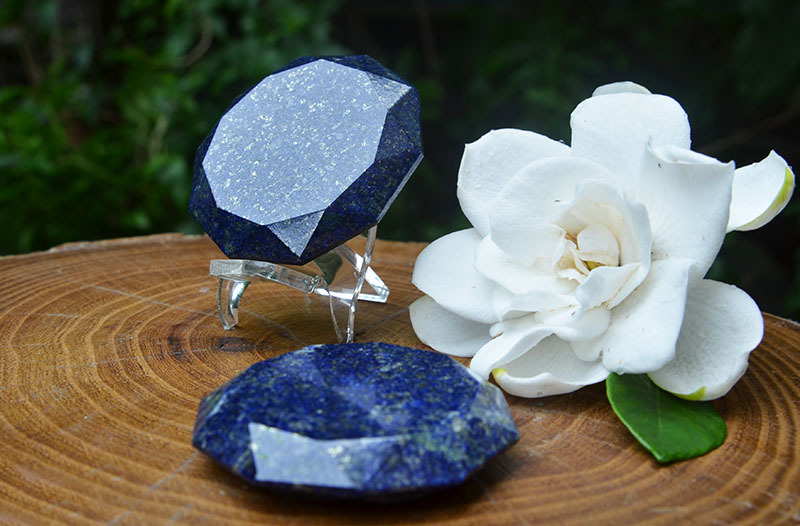 Placed in the left ‘receiving’ hand, or on the heart, 3rd Eye or Crown chakra, the stone will strengthen your connection to the Great Central Sun, as well as to Mother Earth’s crystalline grid. Past life memories and gifts from lifetimes in ancient Egypt may awaken within you, as well as the stirring of your Starseed origins to Sirius and other aligned star groups. Lia wear’s her own Source Stone each night so that her energy field is strengthened and protected while she sleeps. Those who feel drawn to become the caretaker of a Source Stone, are encouraged to use it daily to tune into the new ‘Pillars of Light’ created by the ‘Sounds of Source’ events that have been orchestrated by Lia throughout many cities and regions in Australia and beyond. The more that people use their Source Stones, the stronger these new ‘Pillars of Light’ will become. These Light columns are a direct Gateway to Source, and as they strengthen, many more people will begin to be resonate and vibrate to that higher frequency energy. 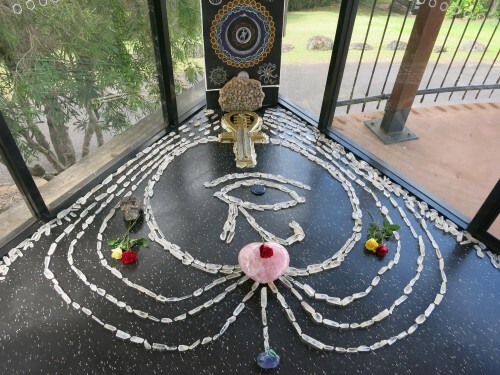 In the original vision Lia received, she was shown that as more and more of these special crystals dot across Australia and the globe, they would in time establish their own unique sacred Indigo-Ray crystalline grid. She believes that this has already become a reality. 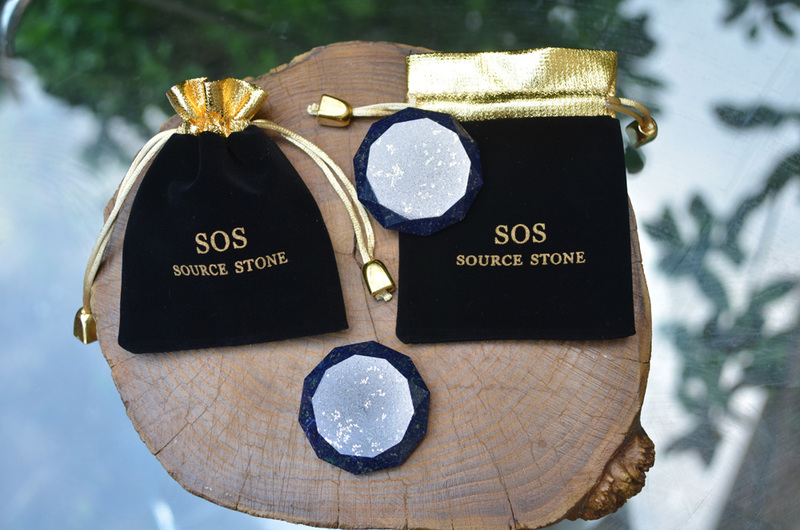 On a physical level, the Source Stone is designed to help you adapt to the geo-magnetic waves and Solar Flare radiation currently directed at our planet. The Source Stone acts as a stabilizer, allowing transformative Solar codes to enter your physical body with more ease. It will raise your vibration exponentially the more you use it. Embodies sacred numerology of No.10, considered by the Ancients to be the number of Perfection. 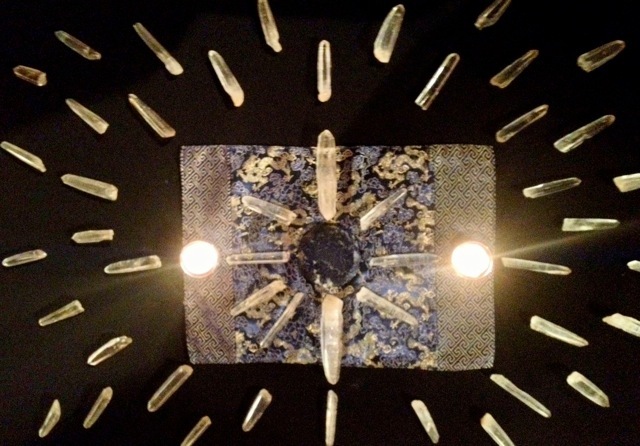 Linked energetically to Lia’s Master Source Stone Grid set. 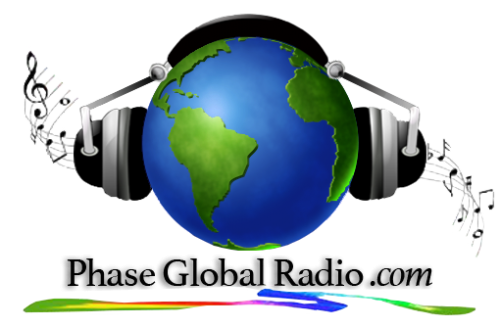 Will help you stabilize & adapt to the intense Solar Flare activity directed at our planet. Presented in it’s own beautiful SOS ~ Source Stone Bag black velvet bag with gold trim. Beautifully hand-wrapped with an adjustable macrame neck piece, this necklace allows one to carry the powerful Source Stone on one’s person at all times. Each of the remaining small group of 20 Source Stones set as necklaces, have been part of special ceremonies performed at ancient Druidic sites in Ireland, such as Newgrange, Tara, Loughcrew, Carrowmore and many more. They therefore carry the accumulated ceremonial energies and spiritual intention, as well as the wisdom of the Druidic Masters who inhabited these neolithic sites, whose imprint is still held within the sacred stones. Having lain on the earth at some of Ireland’s most magical Faerie Forts, they also carry a blessing from the Irish Faerie Folk, the Sidhe.